The Conservative Party’s election manifesto promises that married couples and gay couples in civil partnerships will receive tax breaks within the first five years of parliament. 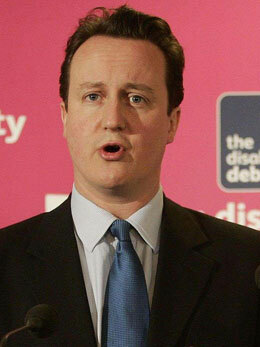 Tory leader David Cameron has been careful to include civil partners in remarks about the proposed benefits. The Daily Mail reports that the manifesto, to be released on Friday, contains a “cast-iron pledge” to give financial benefits to gay and straight couples who stay together. It states: “We will recognise marriage and civil partnerships in the tax system in the next parliament. Marriage has become a hot topic between the Conservatives and Labour as both step up their election campaigns. Cameron was forced to admit he “messed up” over the plans, when he said in an interview recently he “hoped” to implement the tax break changes after promising he would. However, he has not given clear details of how the scheme will work, such as what would happen in the case of a couple who divorced or had their civil partnership dissolved. Labour has attacked the plans, saying they make other types of families, such as separated ones, “second class”. Other critics have queried whether a small financial incentive would persuade couples to stay together. Unlike other European countries such as Spain and Portugal, gays cannot marry in the UK. Instead, they can have civil partnerships, which grant them all the rights and benefits of marriage without the name.